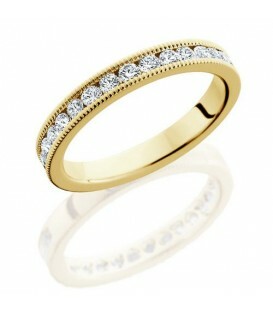 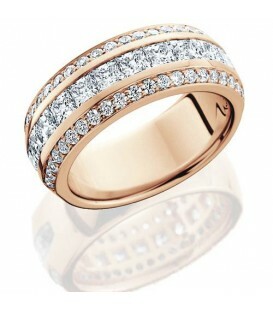 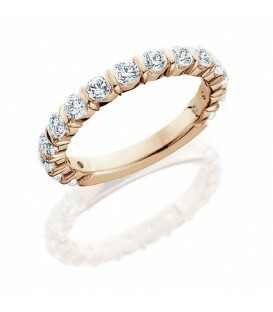 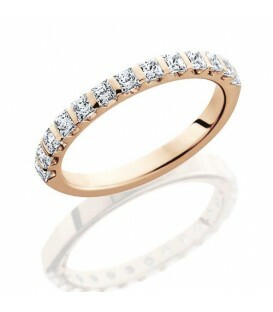 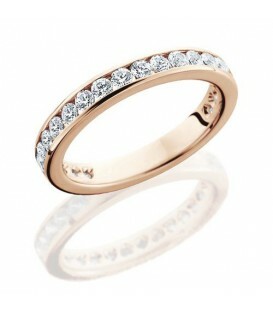 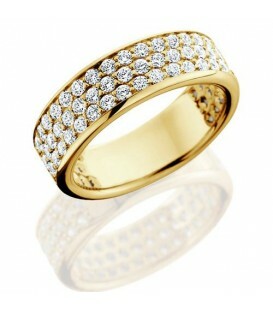 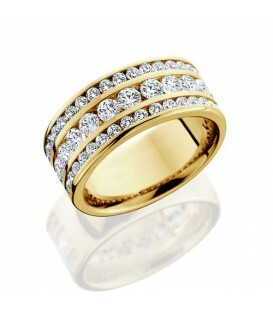 Stunning 1 Carat Round Brilliant Diamond Eternity Ring in 18 Karat Rose Gold. 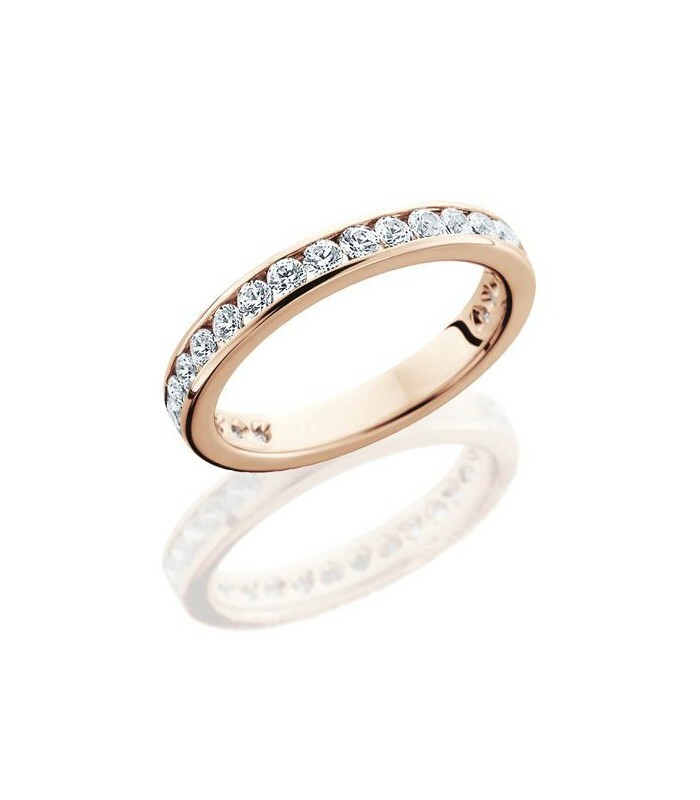 *RING* One (1) Amoro Rose Gold Genuine Diamond Three Quarter Eternity Band, featuring: Channel set, round brilliant, Genuine Diamonds. 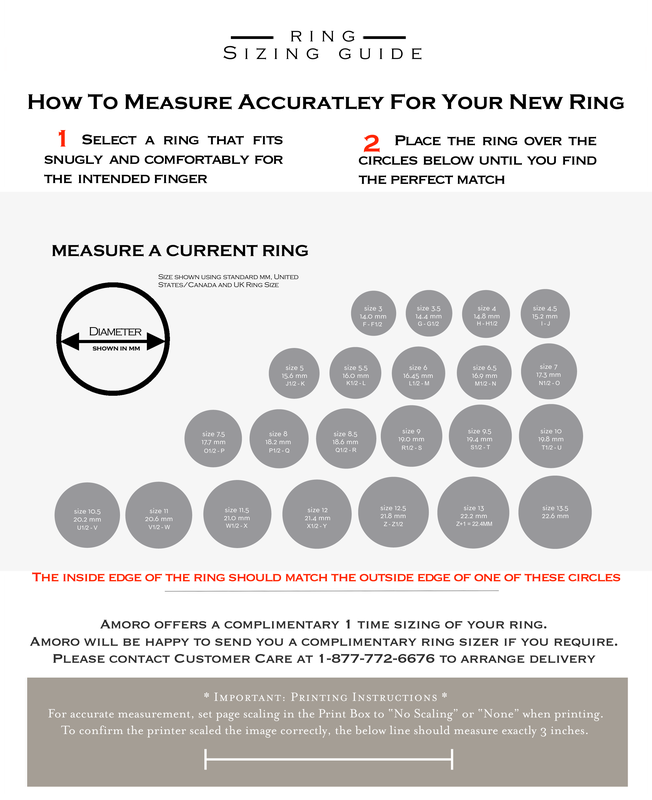 The total Diamond weight and number of stones is dependent on the ring size and will be detailed upon completion of this handcrafted Amoro band. 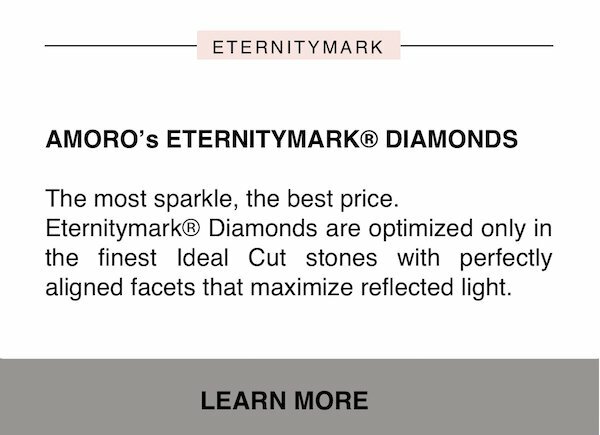 Exclusive Amoro heart shaped cutouts are featured underneath each diamond. 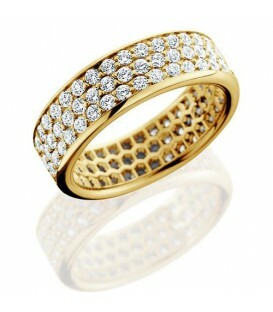 A size 7, 18kt gold ring will feature twenty (20) channel set, round brilliant, Genuine Diamonds weighing approximately 1.00 carat. 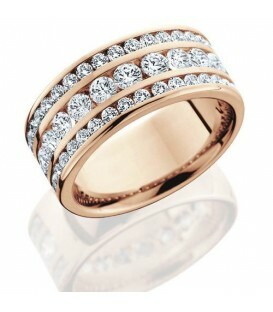 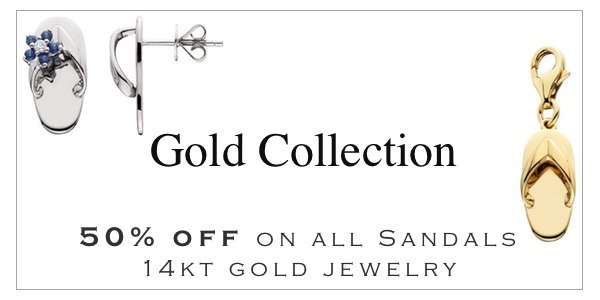 Diamond clarity: SI and Diamond color: G-H.